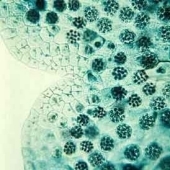 Gametophytes are small, delicate photosynthetic plants with no leaves, stems or roots. 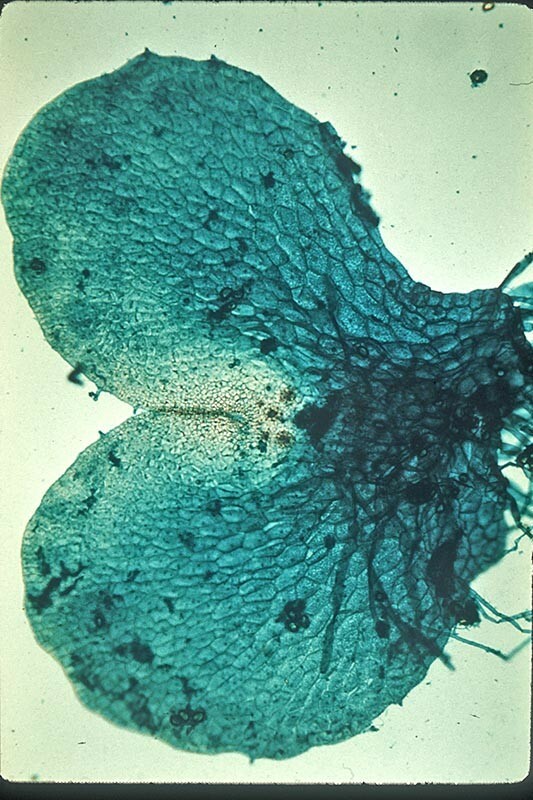 Pteridium esculentum, immature gametophyte - A spore germinates to form a short filamentous chain of cells and a small sheet of cells. 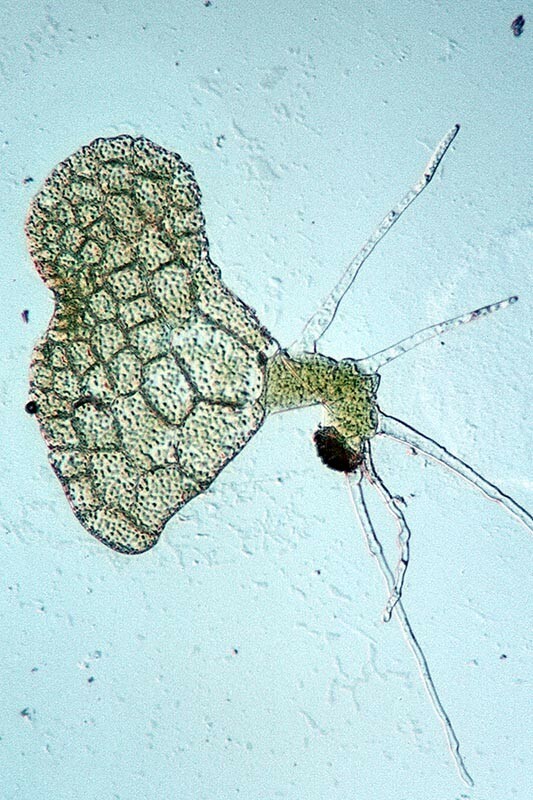 Pteris tremula, mature gametophyte, lower surface - The gametophyte consists of a thin sheet of cells 5-10 mm wide. Eggs are formed below the notch and sperm are formed amongst the rhizoids that attach it to the soil. 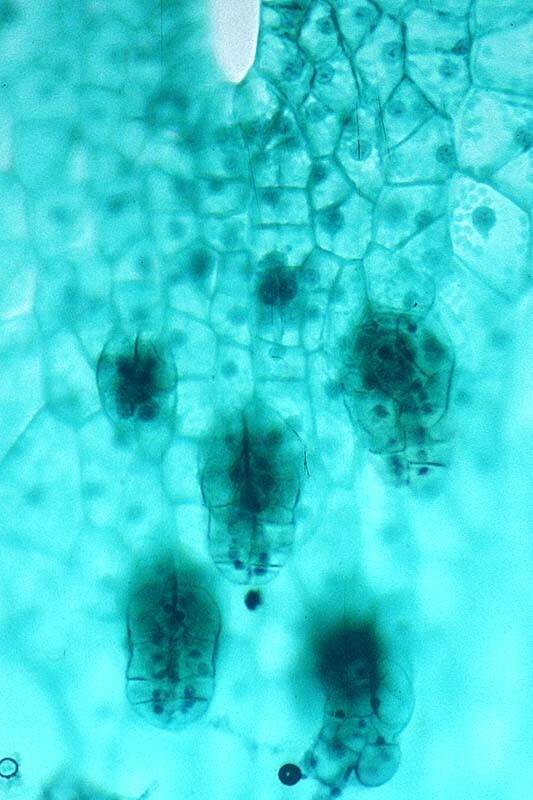 Egg and sperm are formed on the lower surface of the gametophyte. Pteris tremula, gametophye lower surface - Small sac-like reproductive structures called antheridia release flagellated sperm. Pteris tremula, gametophyte lower surface - Female reproductive strutures called archegonia have tubular entrances which guide the sperm to the egg within. After fertilisation, the egg begins to develop into an embryo sporophyte plant that is nourished by the surrounding gematophyte tissue. 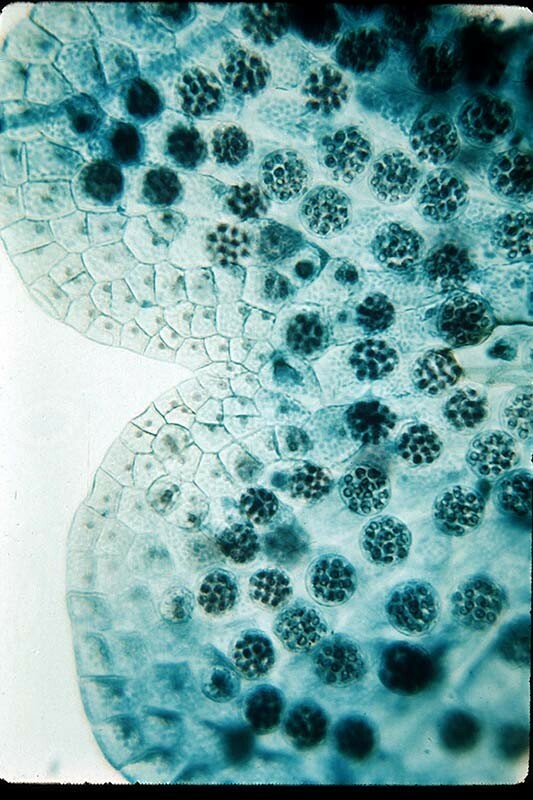 The embryo within the archegonium gives rise to a sporophyte. 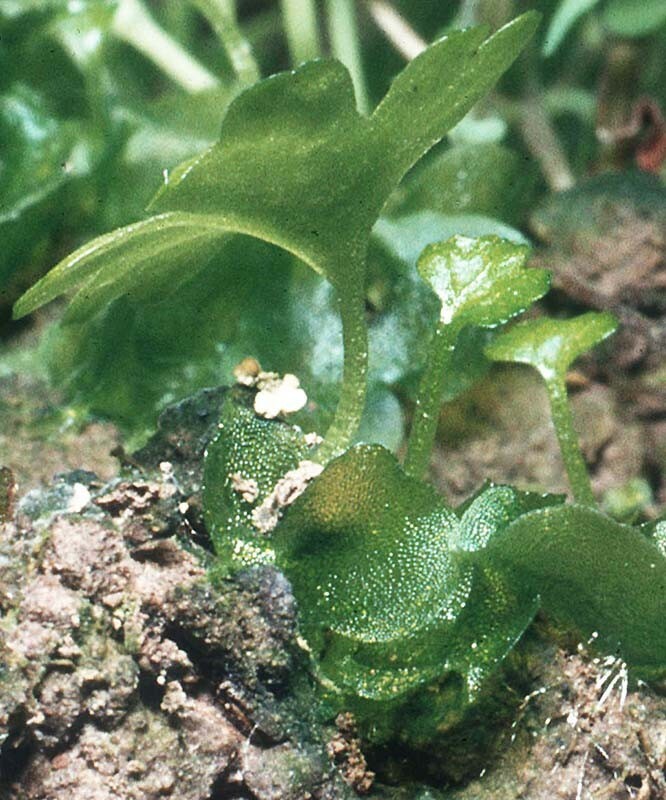 Pteris tremula, gametophyte plants on the soil surface - The gametophyte in the centre foreground has an attached young sporophyte plant with a lobed leaf.